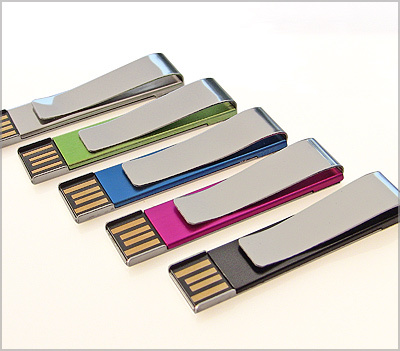 The stylish all metal USB paperclip has MUCH more branding area for your logo than its plastic counterparts. Ideal for clipping onto business reports, pamphlets or mailings. Available in 5 metallic colors to suit any business image. Maximum number of colors per order is five. Inches: 2.16" x 0.47" x 0.23"